Rod & Ben know what we like. Simple sensational soup. Which is why they’ve come up with this classic combo. 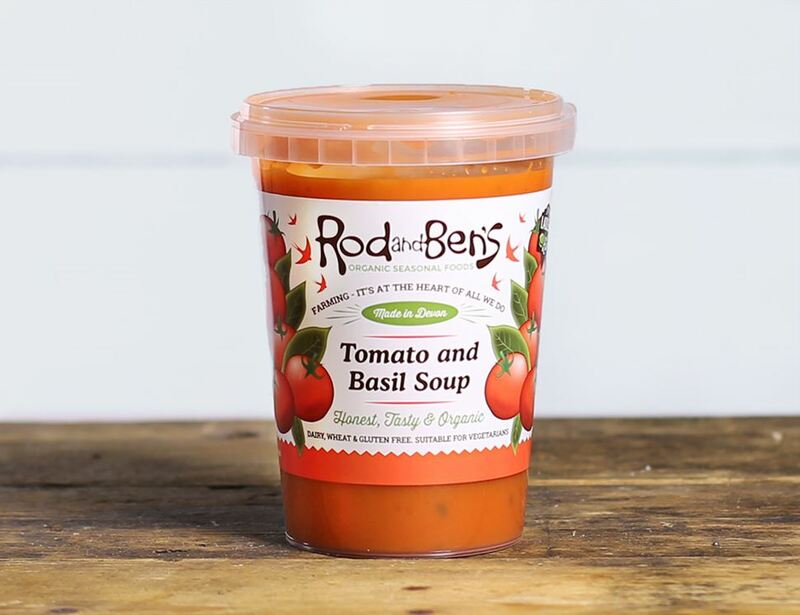 The basil adds a delicate touch to the traditional tomato soup. Toast some ciabatta and dip it into this rich Mediterranean flavoured soup. Ben and Rod grow organic veg down in Devon. As they spend much of their time knee-deep in fresh, seasonal veg it was inevitable that their minds would eventually turn to soup. As any hardened wellie-wearer knows, it only takes a small step of the imagination for fresh ingredients to become a bottomless bowl of sumptuous seasonal soups. 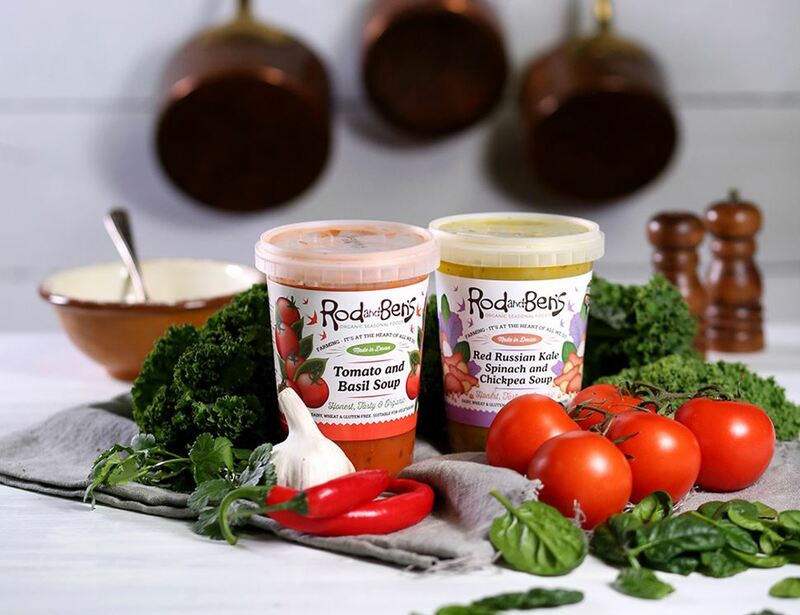 Because they like to keep it local, and by that they mostly share their super veggies with Devonshire folk, we think ourselves lucky to be the few recipients outside of the county to get our hands on the next best thing to their raw veggies: their super-fresh, homemade soups. We hope you like them as much as we do. Water, Chopped Tomato* (20%), Passata*(18%), Potatoes*, Brown Sugar*, Vegetable Bouillon* (salt, rice flour*, onion*, parsnip*, carrot*, olive oil*, turmeric*, parsley*), Basil*(<2%), Garlic*, Balsamic Vinegar*, Salt, Sunflower Oil*, Black Pepper* * = produced to organic standards. Please keep refrigerated and eat within 7 days once open. Heat in the microwave or in a saucepan, stirring occasionally. Serve piping hot. Do not reheat.